A big part of planning on any construction project involves paying attention to details (ATD). 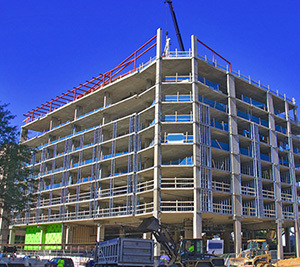 In order to have the right aluminum railing materials on the job site and being able to coordinate the appropriate installation labor force, the Project Manager must stay on top of the always changing job site conditions. In the real world confirmation of site conditions are often a moving target requiring revisions (change orders), on the fly, to rectify the challenges and keep things moving. Remember “Problems” are just “Challenges” looking for a solution. Shop drawing sign-off and order fabrication is often based on blueprint drawings of what is projected to be there, but not often complete at time of product ordering. Hence, on the fly changes and Murphy’s Law can often rear there ugly heads. Strong ongoing knowledge of site conditions, paying attention to details (ATD) often is the difference to smooth project management and job profitability. Aluminum railing product types such as S.T.A.R. offering easy field modification versatility and play a important role in achieving smooth project management, job profitability, along with satisfied repeat customers. This is a key DETAIL to remember throughout the project. S.T.A.R. Aluminum Rail is manufactured by East & West Alum Craft of Vancouver, B.C. East & West Alum Craft Ltd. has been manufacturing aluminum railing for over 45 years. Out manufacturing facilities cover 65,000 sq feet, which allows us to manufacture over 1000 lineal feet of custom railing per day. We offer a wide range of products from balcony rails, fencing, trellises and handrails. Our product is a custom welded system that will stand the best test of time. We have completed projects across North America. 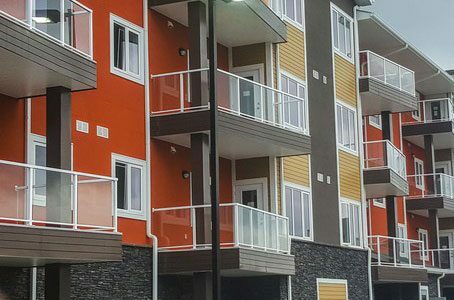 We will work hand in hand with Architects, developers, and Contractors to design a railing system, which is not only a key element of most projects as well as being cost effective. The railings are manufactured and welded using wither 6061 or 6005 marine grade alloys. We then paint with one of our two in house automated powder coat systems. We offer two types of paint, the Z series, which is a super-durable UV resistant paint, of a SOLAR series which is a flu carbon based paint that meets 2605 specifications if required. 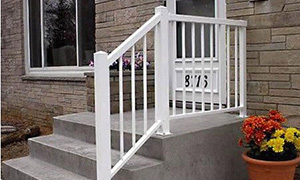 Our company offers the best aluminum railing on the market. Most of our growth has been repeat Architects’, Developers and Contractors that have had a chance to see out product in the field. The primary function of a guardrail is that of safety. Although esthetics and costs are often considerations found on most consumers’s guardrail shopping lists, guardrail structural strength and safety should top their list. One of the key primary components of a guardrail is typically the posts, which are used to support and anchor the guardrail to the structure. You should know that all posts are not created equal. As a general rule, bigger is better (and stronger). For example a 2” x 2” post with a .125 wall thickness will yield a better system design load strength than a smaller 1 ½ x 1 ½” post with a 0.080 wall thickness. Although the guardrail system using the smaller post may cost less, one has to ask themselves…Is the saving in cost worth compromising your family and friends safety? When a residential consumer is buying an aluminum guardrail system it will likely be the last sundeck railing they will buy for their residence in their lifetime. Don’t make saving common cents affect your common sense when it comes to making good purchasing decisions. The moral of the story is………..you are better to be SAFE than sorry……save yourself from being sorry about worrying if that less expensive railing is up for the task of providing you the peace of mind knowing if is safe or not? Remember the primary function of a guardrail is that of safety! !